Designing the color of your roof means more than just picking from a few choices. Take the feel and the aura it gives off into consideration. With the right color for your shingles, you can make a good impression to passersby and greatly improve the value of your home. 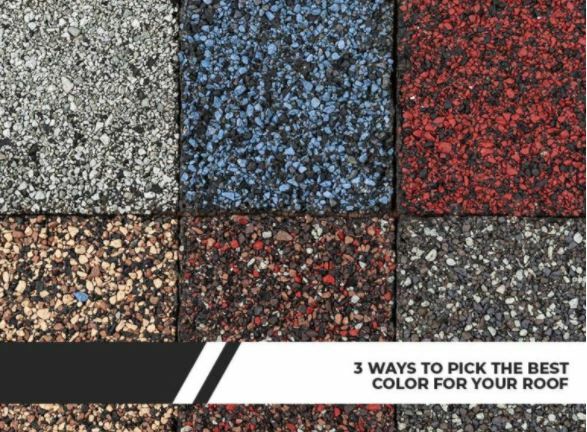 Kroll Construction, one of the trusted local roofing companies, gives you a rundown on picking the best colors. Remember that no matter what paint or coating you brush over the shingles, the brick material stays the same. It’s best for you to see if the color you want is present in the material before picking paint. This helps you save money and fits the feel of your siding. Ultimately, finding a balance means choosing the right changes. Simple, neutral-colored houses benefit from a vibrant roof the same way a vibrant house benefits from a toned-down shade overhead. Before you decide to plaster all those beautiful shingles on the roof, see how they look in different lights. Just because they look good in the store doesn’t mean they’ll look the same out in the sun. A good way to test is by picking a place in the house where the paint and siding meet. Test the shingle when it’s sunny, then again when there’s shade. This way, you’ll have a complementary color no matter the light. Need help in building the perfect roof for your house? Kroll Construction stands out among local roofing companies for its quality products and services. Call us at (844) 688-9632 or fill out our contact form for a free estimate. We serve clients in Detroit and other areas in Michigan.